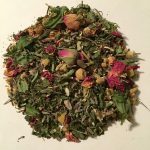 A tasty, comforting, green blend made with organic herbs reputed to promote general well being and gentle help during those times of need. 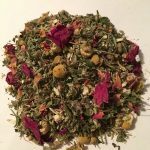 Throughout the centuries herbs have been infused into tea (tisanes) for medicinal and magical purposes. 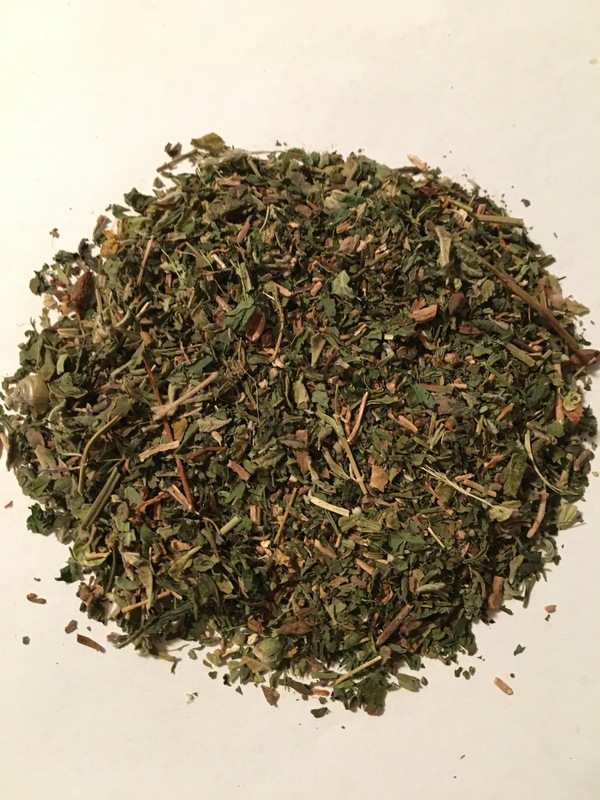 Based on each herbs reputed properties, I have hand blended organically grown herbs into tasty special purpose blends that are a favorite in my country shop. 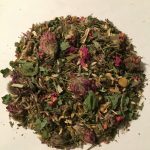 My years of herbal research and education has helped in my formulations blending each tea taking into account both purpose and flavor. Herb teas contain no caffeine. I make no claims to healing, only the good taste and comfort derived from herbal joy. 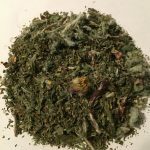 I do not add sweeteners but offer organic Stevia leaf herb in the tea listing for natural sweetness if your pallet so desires.